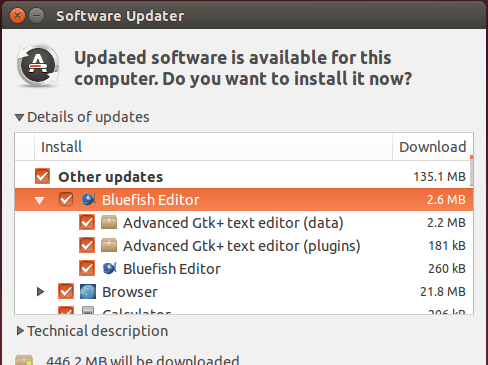 This quick tutorial shows you how to install the latest Bluefish editor (2.2.6 so far) in Ubuntu 14.04 / Ubuntu 12.04 and keep it up-to-date via its official PPA. 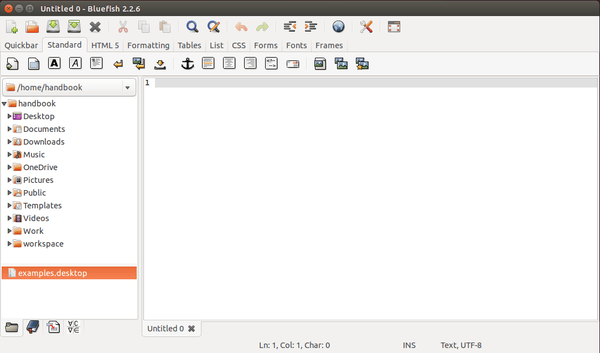 Bluefish is available in Ubuntu universe repositories, but it’s always a little old. Below is how to add Bluefish’s official PPA repository and receive future updates by running regular Ubuntu updates via Software Updater. 1. Press Ctrl+Alt+T on keyboard to open the terminal. When it opens, paste below command and hit enter. It will add the PPA into your system after typing your password (If you’re asked). quite a while. Then it simply started crashing every time after I performed an update. The new version seems to work OK. I had the same problem described by Larry. Hi, thanks for the post. How do I determine if “ppa:klaus-vormweg/bluefish-gtk2” is necessary?